It seems like new appraisal management companies are popping up all the time even with the new licensing laws and regulations. I am going to start posting information on a bunch of appraisal management companies that I have heard other real estate appraisers getting work from. I have not received any work from them yet, but would love to get feedback from people that have worked with these companies. Please send me an email or comment on my posts if you have worked with any of these appraisal management companies. This will be an ongoing post and I will be putting up appraisal management companies hopefully on a weekly basis, depending on my work load. I will start off with a fairly new AMC that I HAVE received a fair amount of work from. But please give me any feedback regarding the company as well. 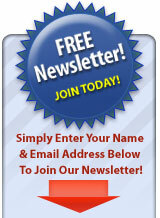 http://aaa-appraisalservices.com – You can sign up here. Currently they are looking for California Appraisers that have been approved with Flagstar, Citigroup and not on the Wells Fargo Blacklist. I have had really good experiences using them. So far I have received full fee appraisal orders and get more than enough time to professionally turn around a high quality appraisal. 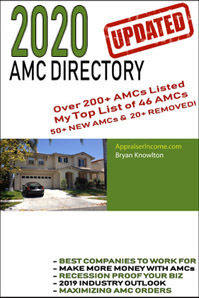 I have not added them yet to the ‘Top 20 Appraisal Managment Companies’ that I get 99% of my AMC work from, if you are interested in obtaining that list, please visit http://www.appraisalmanagementcompanies.org for all the details. Again, I have not updated my appraisal blog in a while, but there is some good marketing information to be found at http://www.appraiserincome.com as well. Thanks again and I should be posting a lot more in the near future, so make sure to subscribe to my blog! This entry was posted on Tuesday, September 7th, 2010 at 11:48 am and is filed under Appraisal Management Companies. You can follow any responses to this entry through the RSS 2.0 feed. Responses are currently closed, but you can trackback from your own site.